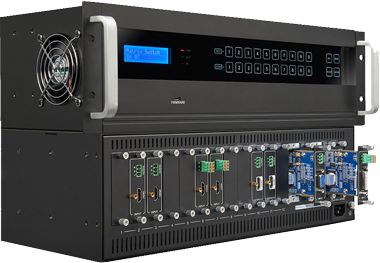 TEKVOX introduces a new modular matrix seamless switcher with up to 16 slots of selectable input and output cards. TEKVOX introduces a new modular matrix seamless switcher with up to 32 slots of selectable input and output cards. The new TEK 1201-N Presentation Switcher provides simplified AV for classrooms, small conference rooms and collaboration tables. 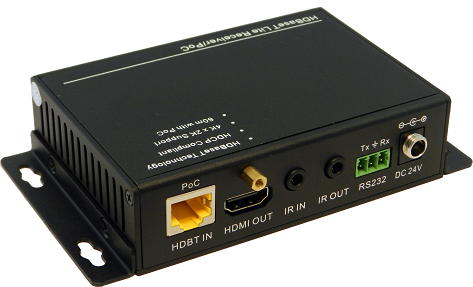 Providing inputs for 5 HDMI, 1 VGA multi-format, balanced stereo output, CEC, auto-switching, RS232 Control with HDMI and HDBaseT outputs. 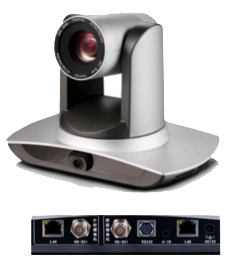 TEKVOX now offers an auto-tracking camera made for education. The TEK UV100T-20-ST auto-tracking camera is a state-of-the-art high definition 1080P/60 PTZ camera with 20X optical zoom lens and has two SDI outputs with IP streaming. TEKVOX Drop-In A/V® systems are pre-configured and come packaged with all necessary components to be up and running quickly. 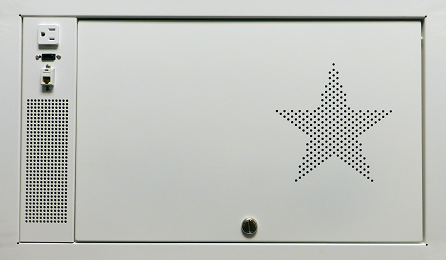 TEKVOX Drop-In A/V® systems do not require custom software so you know your costs up front. Our state-of-the-art equipment provides an easy-to-use experience in classroom, commercial, and corporate collaboration environments. Manage a multi-room or campus-wide A/V setup with TEKVOX’s enterprise management products. Manage one room or thousands with our easily extendible systems. Save costs and time by using existing equipment, our products integrate easily with others. 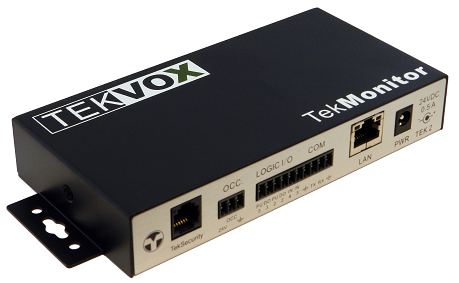 Because they are easy to set up and use, all TEKVOX software keeps the end user in mind. Record and retain 6 months of classroom audio and video based on a 12 hour day, five days per week. Proper energy management can result in substantial cost-savings. Combine multiple rooms and control a variety of systems with TekTranslator. 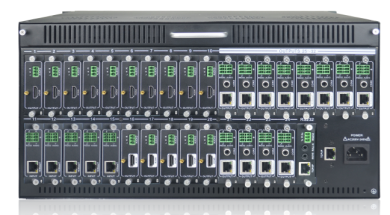 An intelligent, networked control/sensor hub that connects A/V gear to the enterprise network. A unique TCP/IP based protocol allowing for easy integration of AMX and Crestron type control systems.